There are moments when the beauty of the world takes your breath away. 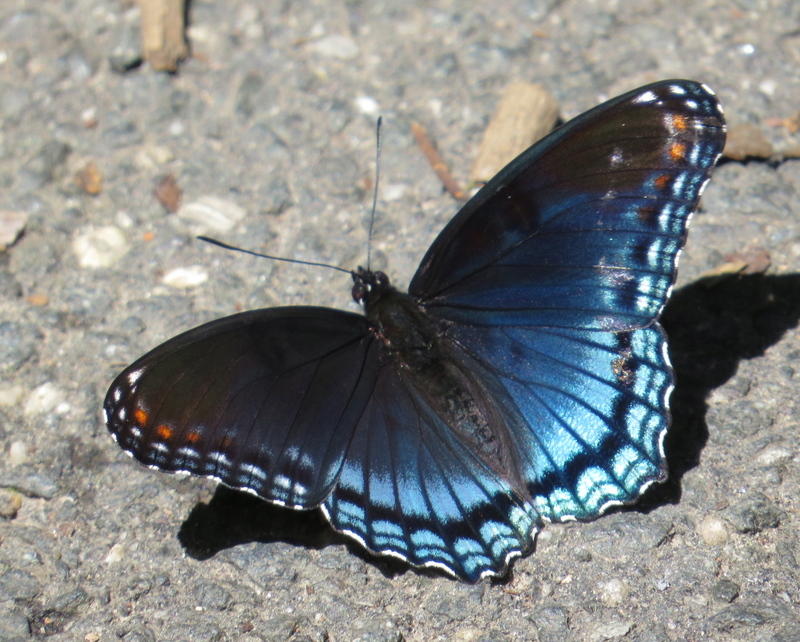 Like, for instance, when a Red-spotted Purple (Limenitis arthemis) spreads its wings in a patch of sunlight, opening and closing them in quick succession — as if were silently clapping — and flashing this incredible blue iridescence. And then you remember why you are living. Yes, we’re looking forward to releasing the butterfly we’ve been raising in 10 days or so – think it’ll be a bittersweet moment though! Would love to see one of these…we only get the “White Admirals” here in Ottawa. 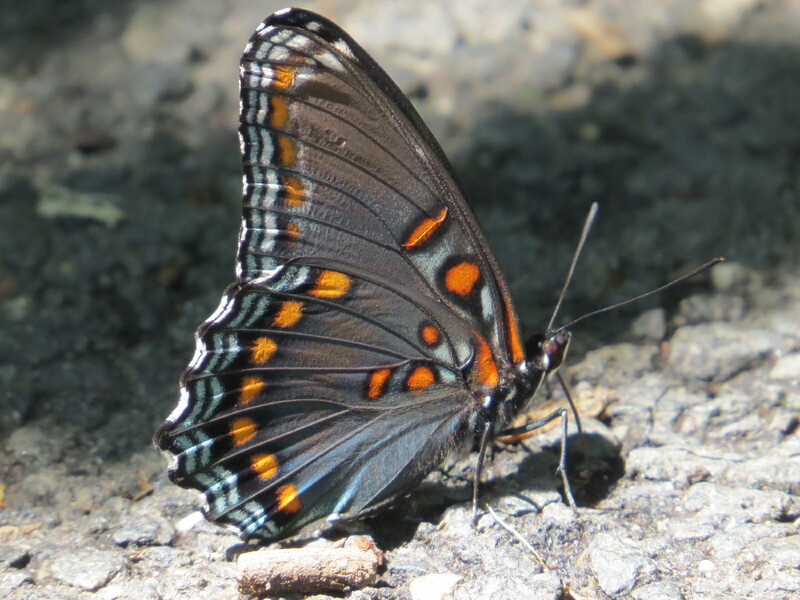 The Red-spotted Purple is beautiful on both sides of its wings! Certainly is odd that they are considered the same species, isn’t it? I would like to see a White Admiral and an intergrade between the two. I think they have all three species in southern Ontario. I usually don’t go there in the summer (just in the spring for migration at Point Pelee), but I may have to reconsider given all the neat bugs they have there! Re: being the same species, I guess it’s no different than us Homo sapiens coming in all different colours!